This entry was posted on Thursday, July 5th, 2012 at 5:26 pm	and is filed under Updates. You can follow any comments to this entry through the RSS 2.0 feed. You can leave a comment, or trackback from your own site. Well-put Tim, and I am very sad to have read this post. This makes a lot of sense, the way you’ve discussed it, but it’s still sad. I wish you and the rest of the team all the best, and miss working together quite a lot. sorry to have read the bad news. For what it’s worth, I share that dream and I agree that the biggest challenge will be to prove the added business value of linking data. Hope I will get the chance to also work on these goals. I’ve enjoyed working with you guys both professionally (as part of the Ordnance Survey linked data work) and as a hobbyist (Kasabi was fun and you host my family tree linked data). Wishing you all all the best for the future. Very sad to read, and I hope all who seen changes in their work lives come out better as a result. 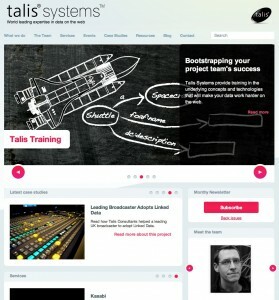 Talis have put so much in to Linked Data, over seven years, investing in building momentum that I find it surprising that such short term things such as ‘there isn’t much new work to take on during the Olympics’ could be a contributing factor, no matter how small, to the end of a long plan. I’m not questioning it, or making light, but as someone who lives in the warm safe world of the public sector, and with no ‘real world’ experience, I didn’t think such things would be such an issue. Chris, I was more illustrating the indecision in the market. Time and again we heard “we cannot make a decision until after event XYZ”. Which in the main meant that they would eventually decide not to. I enjoyed your history of your reactions to Talis and it’s software. I too had to poke around with the internals of TalisWeb and it’s labyrinthine directory structure, and I too had your same reaction to the myriad of perl scripts to do what turns out to be critical stuff behind the scenes. 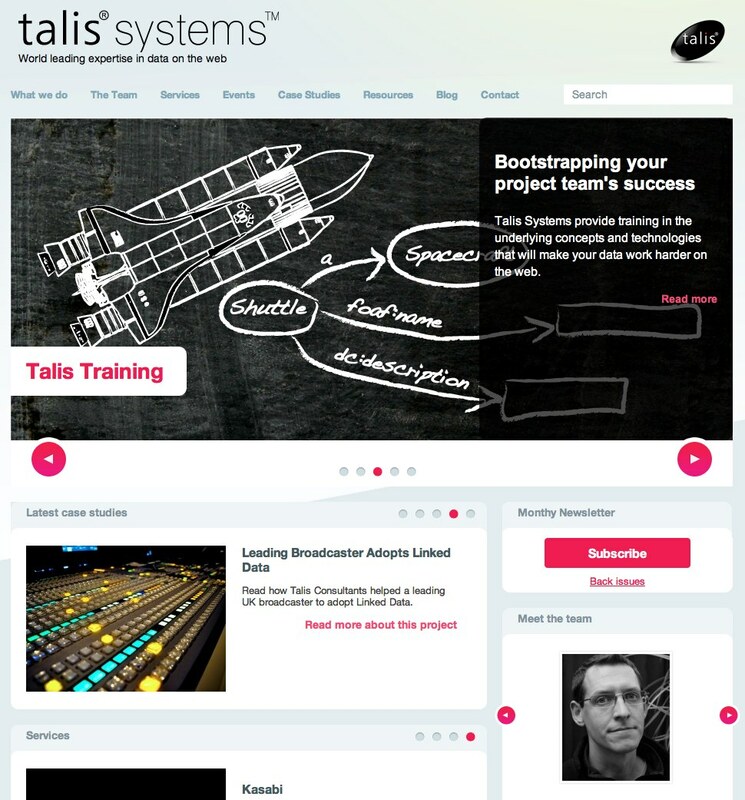 The learning about Graph based approaches to product design are still key to Talis Aspire, and I am sure it _is_ going to be awesome. I must admit I raised an eyebrow with somewhat more than a hint of interest when Talis embarked upon a semantic web mission — a company with considerable expertise in the field of libraries, who knew what linked data was as well. I’m sure you will be back Talis. “The difference between a dream and a vision is that a dream is more fantastical, while a vision is a practical goal” — an opportune moment perhaps to venture an even finer taxonomy of our imaginative abilities… pic.twitter.com/o2cAscwa (clicking on the image should enlarge enough to read the text). Quoting from BBC R4 Thought for the Day on the subject of Sunday’s Wimbledon final and Andy Murray also post game: TFTD, “the fertile soil in which the flower of hope takes root much more easily than in the sometimes arid desert of overblown success”, Murray, “I’m more determined than ever to make sure I’m the guy lifting the trophy next time round”. I’m sure I’m not the only person with the feeling that the Semantic Web is inevitable, being more a question of when than if. The tools and techniques will become increasingly commonplace and a part of our everyday lives, and the soil fertile enough for library & information experts and IT technologists to give the boost to our economy that the technology is capable of.